Nature lovers paradise! 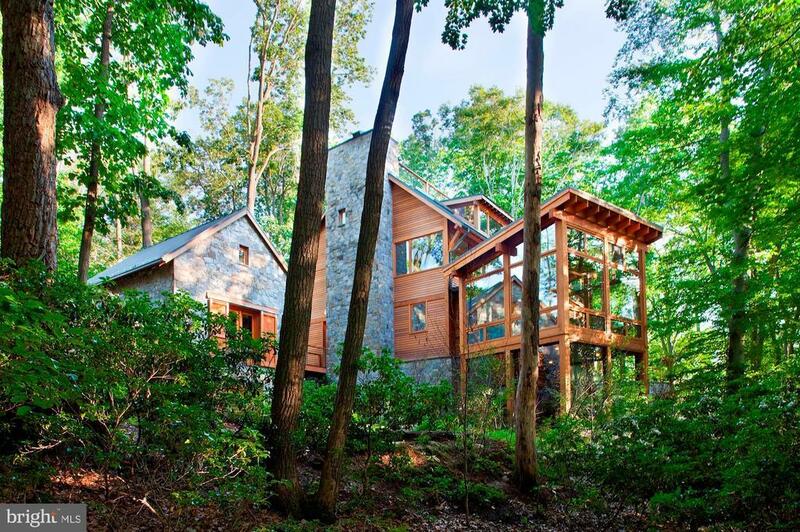 Exterior of cedar and stone nestled in the trees with Potomac River views! Every Room of the home allows you to experience the outdoors. Stream feeding into the Koi pond, porches and patio with spectacular views! Jim Rill Architect masterpiece with wide plank oak and flagstone flooring, exercise pool, elevator, generator, geothermal heating and cooling, artists studio, three fireplaces. The home is in the Merry Go Round Farm Community that has two barns, an equestrian center for horse boarding and riding lessons, miles of hiking and riding trails, on site groundskeepers and barn hands, and lighted tennis courts.